... but being not exactly of a minimalist (or efficient) nature myself, logic dictates that maximalism may be the way to go footwear-wise. I have found that on long runs 15m+ my feet started to fall apart when wearing my Newton trainers, it is the same across the range of pairs I have, mostly from the hard impact below the ball of the foot. I went for these trainers on the advice of numerous Ultra marathon runners, as I am aiming to take part in some ultra events in the future. 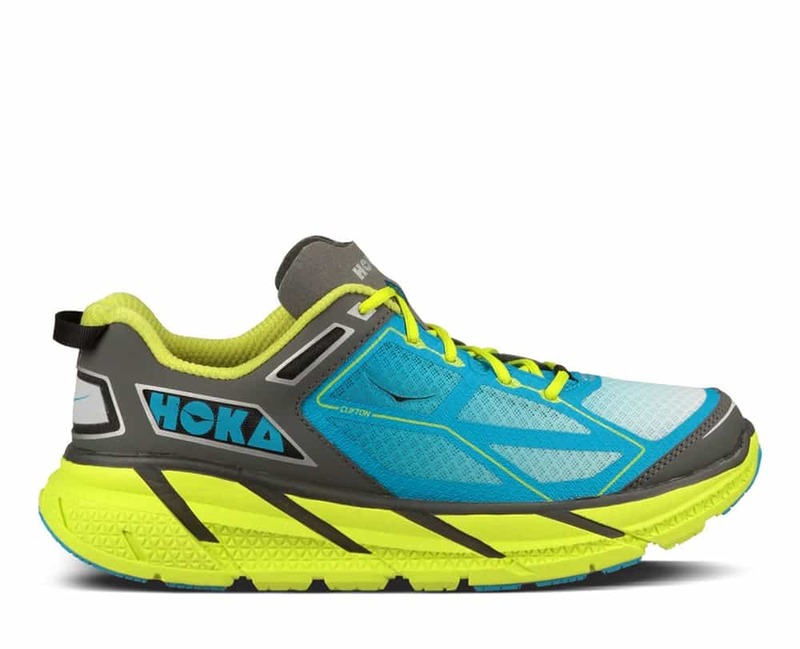 I picked the Clifton version, as it had the lowest drop from heal to toe (2mm) and I am transferring from Newton's to these trainers and wanted to keep the foot placement roughly similar, although the Hoka's are designed for heel striking (which generally happens when my legs get tired). I quickly ditched the standard laces and replaced them with a pair of elastic knotted ones (lime green naturally). I have also paired these up with a pair of injinji lightweight no show toe socks - again on advice from the ultra club to hopefully prevent blistering, which has also been an issue over long distance. Only a short 7km run (I haven't run for a bit so gradually getting my legs working again), WOW, they felt like running in slippers, I went for a size smaller than my normal 10, so 9.5 and my right foot is in comfort heaven, however my left foot (must be the slightly bigger one) is pressed a little on my big toe, but I think a few runs will sort this out. The shoes are so light you can't really feel them when lifting your feet, and foot placement has a lovely cushioned feel - the result though is a speed sapping - these are not flat out running trainers, as they will take at least 10s per Km out of your time, but your feet will thank you for it over long distances. I will keep you updated on the progress / wear of these trainers as I go along. Put one on the kitchen scales, and see how much it weighs. You may regain the 10 secs (and maybe more) with the lower weight. So, a very light shoe considering the cushioning. The question then is how many miles it is good for. Been for a couple of runs (!) in mine now (... that's a couple of runs since January.... how neglectful of me...). First run - ended up with a blister on the inside of the arch of my left foot - after about 6km. Decided to fiddle around with the insoles a bit - and go for both the provided pairs at once instead of just one set; 7km yesterday with no blister (shame that my legs were so tired after skiing that I could hardly move though). Definitely super comfortable! Hmmm. They are a bit "special" to look at.